Go on tell me you had one, sadly never managed to get one of these as of yet.... Sure i will at some point. I never had one of these either but I do love old consoles maybe I'll look for one myself. What games did this console have? I only have one game for it, Burnin Rubber. If my memory serves me right only 25 games were ever released. A couple of them are passable but it's hard to enjoy playing on the console as the joypad is an abomination. In summary, the Amstrad GX4000 is by far the worst console I've ever had the misfortune to play. P.S. This is my first post so 'Hello' to everyone! Thats a great price.. Agreed with the cost of the games though. We had the CPC Plus which had a GX4000 built into it. RoboCop was pretty good but bloody hard. The best titles for me though were Switchblade and Pang. 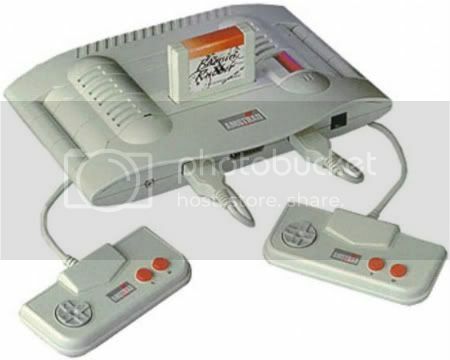 This was only gaming machine I had for a year until the arrival of my Super Famicom at the end of 1991...I don't think I touched the games on this system again! Firstly from an American who has never even heard of Amstrad!